A black stout full of dark chocolate and coffee flavours, with an addition of fine ruby port. Cask at GBBF '18, day 3, 09/08/18. Extremely dark mahogany brown with a decent light beige cap. Nose is a touch eggy, light charr, dark fruit rinds, spice, cocoa sprinkle. Taste comprises bitter chocolate, mellow roast, dried fruits, light spice, raisins. Medium bodied, soft carbonation, drying close. Ok stout ... just a faint eggy whiff on the nose docking the score a touch on this one. Cask at GBBF 2018, Kensington Olympia. Really dark ruby with a tan head. Aroma is of dark malt and cherries, with a sulphurous hint. Quite dry with a fairly thin body. Cask at the GBBF 2018 day 1 07/08/2018. A cola brown coloured pour with a a loose tan head. Aroma is sweet nutty, soy sauce, apple. Flavour is composed of semi sweet nutty earthy malts, Salted roast. Palate is semi sweet, moderate carbonation, oily. Ok.
Cask at GBBF. It pours dark brown with a small off - white head. The aroma is musty, tangy, port wine, dried berry, fruit cake and light sulphur. The taste is dry, bitter, chewy, slick, wet wood, earthy, spicy, tannin, coffee grounds, vinous and charred wood with a drying finish. Medium body and low carbonation. Nice idea, but a bit drying. GBBF Day 1. Cask. Almost opaque dark brown beer,. small tan head. Smooth palate, semi dry, modest fine carbonation. Slighty ashy dark malts, very slighy. Tangy bitterish chocolate. Ripe fruits. Port? Maybe a trace of berries. Light semi dry finish. Not too bad. Bottle from Local. Appearance - opaque black with a lovely fawn head. Nose - meat and toffee. Honeycomb and molasses. Taste - molasses and toffee. Some spiced cake. Palate - medium bodied with a crunchy texture and a fairly good finish. Overall - a bit gnarly but persistence pays off. Bottle from open All Hours, Keswick. Black in colour with a massive rocky head of foam. 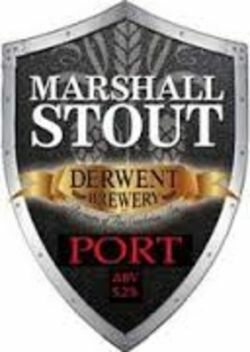 It has a sweet liquorice, currant and chocolate flavour followed by a smooth burnt red fruit and bitter coffee finish. Excellent!